Hard on the heels of the discovery that Neolithic ‘dentists’ may have used beeswax to treat cracked teeth, high-resolution CT scans of an ancient Egyptian mummy have revealed that the young man suffered from terrible dental problems – and that he used a unique treatment to try to soothe his toothache. 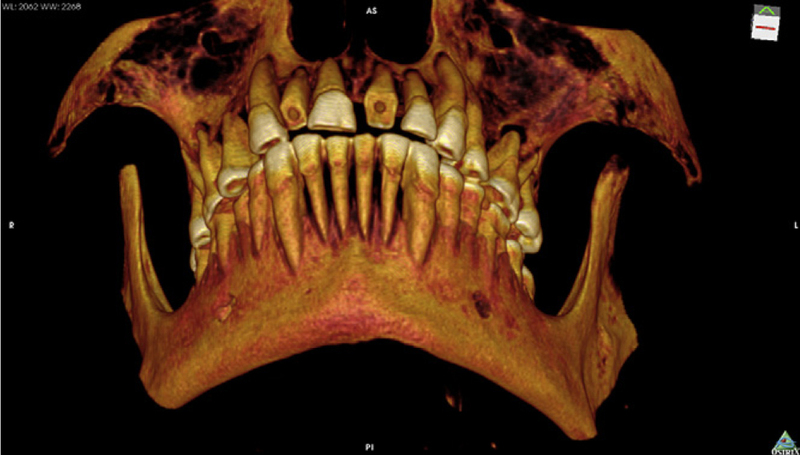 Aged in his 20s or early 30s, the man had a mouth full of cavities and abscesses that would have caused him severe pain and could have led to a fatal sinus infection. According to research newly published in the International Journal of Palaeopathology, the unfortunate individual seems to have consulted a dental specialist, who attempted to relieve his suffering by packing the largest – and probably most painful – cavity with linen, which perhaps had been soaked in medicine such as fig juice or cedar oil. This would have acted as a barrier to stop food getting into the tooth, while any medicine on the cloth might have helped with the pain. The patient appears to have died just weeks after the treatment, however, possibly from an infection spreading from his rotten teeth. 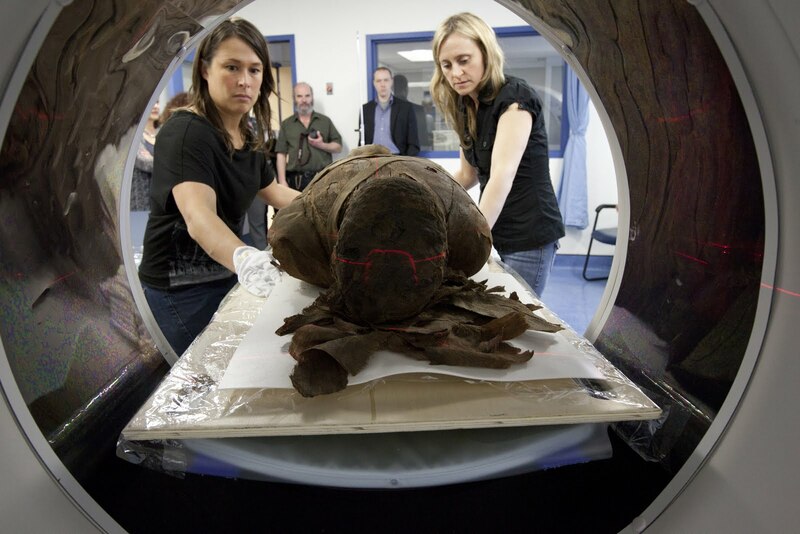 His remains were scanned by Andrew Wade of the University of Western Ontario, as part of a project that recently saw bird mummies from the collections of McGill University’s Redpath Museum being scanned to reveal that their stomachs had been posthumously filled with food.